Digital forensics (sometimes known as digital forensic science) is a branch of forensic science encompassing the recovery and investigation of material found in digital devices, often in relation to computer crime. The term digital forensics was originally used as a synonym for computer forensics but has expanded to cover investigation of all devices capable of storing digital data. With roots in the personal computing revolution of the late 1970s and early ’80s, the discipline evolved in a haphazard manner during the 1990s, and it was not until the early 21st century that national policies emerged. 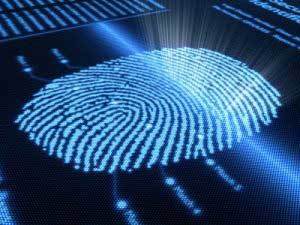 Digital forensics investigations have a variety of applications. The most common is to support or refute a hypothesis before criminal or civil (as part of the electronic discovery process) courts. Forensics may also feature in the private sector; such as during internal corporate investigations or intrusion investigation (a specialist probe into the nature and extent of an unauthorized network intrusion). The technical aspect of an investigation is divided into several sub-branches, relating to the type of digital devices involved; computer forensics, network forensics, database forensics and mobile device forensics. The typical forensic process encompasses the seizure, forensic imaging (acquisition) and analysis of digital media and the production of a report into collected evidence. In terms of computer crime investigation and digital forensic, LGMS is a well known name among the financial institutions in this region. LGMS’s digital forensic lab is fully equipped with commercialized digital forensic investigation analysis equipment. Scope of forensic: Computer, mobile devices and live servers etc. For more information, please feel free to contact us, and get a free consultation from our digital forensic and investigation security experts. We treat every client’s case with utmost confidentiality and privacy.